We talked a few weeks ago about the additional day of Pesah – the 8th day, which is not biblically ordained – as being an extra day observed only by those Jews who live outside of the land of Israel to insure that they were observing the holiday on the correct day. This is just one reminder that those of us who live outside of the land of Israel live differently than those who make Israel their home. Those of us who live outside of the land of Israel, we are referred to as living in the Diaspora – or, more strongly, in Galut, in EXILE! Tonight, I ask all us, do we feel like we are living in EXILE? For many of us, those of us who love Israel and have a longing in our hearts to be there, this is a time period in the Jewish calendar when that Zionist itch gets strong. While we can observe Yom HaShoah, Holocaust Memorial Day (which we did last week), anywhere, how much more powerful it is to commemorate this horrible time period in Israel – in a nation that rose from the ashes of the destruction in Europe? While we can all pause to remember the Israeli soldiers who lost their lives, as we did on Wednesday (Yom HaZikaron), for the protection of the Jewish State, how much more powerful it is to remember them in Israel, as the air raid sirens howl and everyone, wherever you are, stops, stands and remembers in silence. And, while we can all celebrate the 64th birthday of Israel – which took place on Thursday (Yom Ha’Atzmaut) – celebrating Israel’s birthday in America is a bit like celebrating your great-grandfather’s 100th birthday by phoning in your love your good wishes. Being there does make a difference. Given this, at this time of year and at other times, some of us definitely feel disconnected from the land of Israel. But do we feel as if we are living in Exile? For some, we have never been to Israel. We don’t get the connection some of us have to this far off land that we read about in Torah and in the newspaper. Maybe we do, but we just haven’t had the opportunity to experience it ourselves so we don’t feel the connection. If this describes you, does this mean that you are living in Exile? As some of you know, we are in a funny time period on the Jewish calendar, a period known as Sefirat Ha’Omer – the counting of the Omer. The Omer, or “sheaf” was a harvest offering brought to the Temple on the second day of Pesah. After this offering was brought, the Torah instructs us to count 7 weeks, or 49 days, which brings us to the holiday of Shavuot. Today, we consider Shavuot the holiday that commemorates the receiving of the 10 Commandments. But, in biblical times, it too was an agricultural holiday, marking the time when Jews brought the first fruits of their harvest to the Temple as offerings. Interestingly enough, we still count each day of the Omer. Tonight marks the 21st day of the Omer – you can see the numbers on any Jewish calendar. Why would we still count these days? We no longer bring harvest offerings and first-fruit offerings. We know when Shavuot is – we don’t need to count the days. Why didn’t this custom disappear? Because the rabbis decided that counting of days between Pesah and Shavuot has a deeper meaning. On Pesah – we celebrate our freedom, followed by our wandering in the desert – in no-mans land. After the 49 days of counting, we arrive at Shavuot and receive the 10 Commandments. No longer are we a wandering aimlessly in the desert. We have rules and directions. We are a true people, discovering our purpose. The rabbis teach us that every year, despite the fact that we are no longer wandering in the desert literally, most of us are lost and misdirected spiritually. On Pesah we all discover a new sense of freedom inside of us. But, with this freedom comes the realization that we are not using this freedom to the best of our ability. Some of us don’t know what to do with the freedom. Some of us don’t appreciate it. Some of us abuse it. Some of us are just downright lost. So, during the counting of the Omer, we are to engage in soul-searching, similar to what we do during the High Holidays, figuring out how we can find our way out of our own personal desert. Hopefully, through prayer, meditation, rituals, study and intimate discussions, we can find our way out and experience the same type of liberation and redemption that our ancestors felt when they received the gift of the 10 Commandments. This takes work. And we must be willing to put in the work. Spiritual searching is not easy. As a Jew who loves Israel, a true Zionist, someone who fantasizes about living in Israel and loves to spend time there, I admit that, while there are times when I yearn to be there, I do not feel that I am living in EXILE. Israel is indeed a significant piece of my spiritual home. But this is home too. I am not banished from Israel. I might not be able to afford to fly there as often as I want to – but, by being here, I am certainly not a prisoner in a foreign land. Israel is always there, waiting for my return. For those who don’t feel the connection to Israel – you too are not living in EXILE. None of us are relegated to an inferior land. Certainly, Israel is an incredible place for Jews! But, America isn’t a bad place for us either! All of this being said, I do believe we can live in EXILE today. Not exiled from Israel. But exiled from a place of spiritual well-being and health. Exiled not because we are banished by someone else, but exiled because we have not done enough to find the way out of the darkness. Tonight is the 21st night of the Omer. We have 28 more days to count. 28 more days to use the freedom we all received when the Red Sea parted centuries ago to look for our own 10 Commandments – our own spiritual direction. 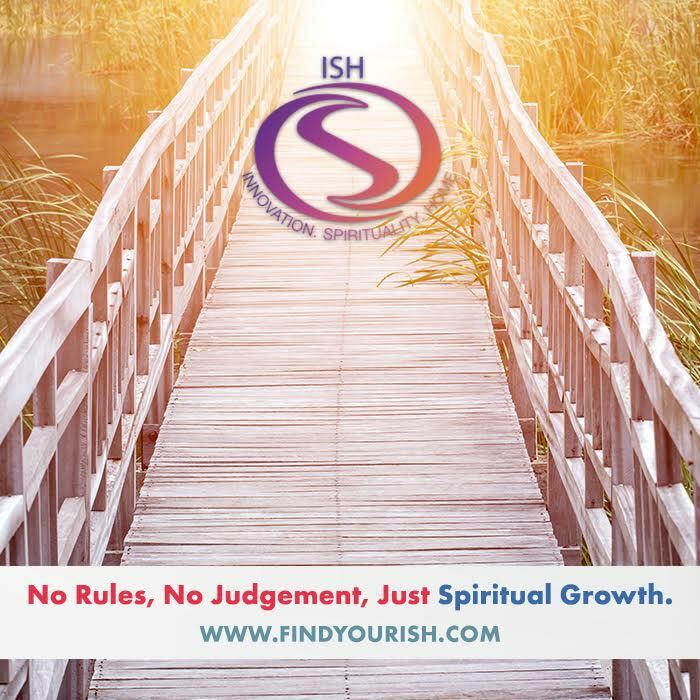 Until we give ourselves the time to discover what our soul needs/wants/desires/craves/yearns for and until we determine the steps needs to fulfill our soul’s needs/wants/desires/craving/yearnings – we are spiritually lost – banished by ourselves to a spiritual wasteland. This is EXILE. No one deserves to be EXILED. So how do we prevent it from happening to us? Use the next 28 days of the Omer. Ask yourself the deep questions – what do you need to bring more pure joy and happiness into your life? What do you need to bring more peace into your routine? What do you need to feel better about yourself? What do you need to discover about yourself? What do you realistically need from G-d? 28 days. Try to answer the questions. 28 days. Lay out the steps needed to make your answers a reality. You do these things, and Shavuot, which falls on May 27, will truly be a blessing for you and those who love you.